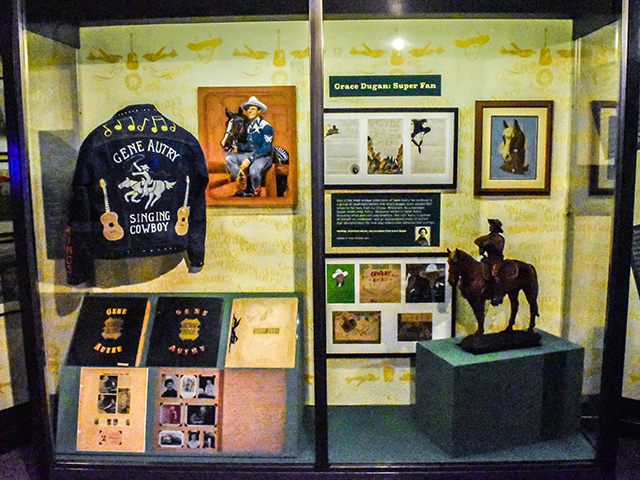 The Autry Museum of the American West in Los Angeles, California recently debuted a special case titled Always Your Pal: Gene Autry and His Fans. 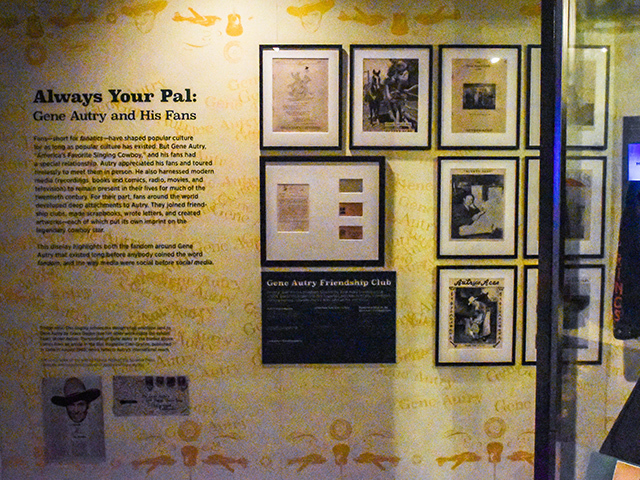 Gene Autry and his fans had a special relationship. The famous singing cowboy toured tirelessly to meet his fans in person and harnessed modern media to remain present in their lives. 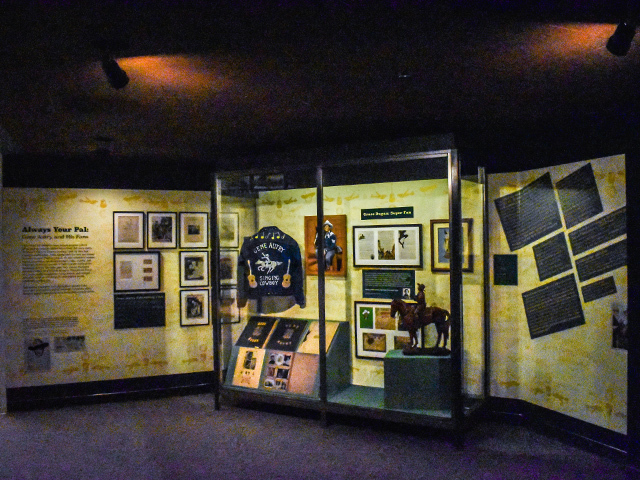 In turn, fans around the world developed a personal attachment to the legendary cowboy. This new case features fan-created artworks and media, illustrating the many imprints that fans put on their hero. Autry’s face and name appear carefully crafted in leather, denim, mahogany, and even on sandpaper. 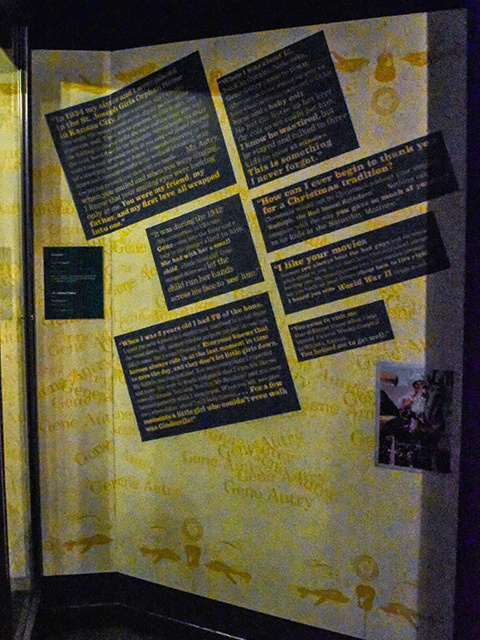 This special case will be on view through the Spring of 2020 in the museum’s Ted and Marian Craver Imagination Gallery. Grace Dugan, envelope addressed to Gene Autry, circa 1940. Courtesy of Jackie and Gene Autry. Grace Dugan, portrait on sandpaper of Gene Autry and Champion, circa 1940. Courtesy of Jackie and Gene Autry. Membership card for the Gene Autry Friendship Club, circa 1943. Donated by Stanley J. Martin. Grace Dugan, illustrated letter to Gene Autry, circa 1938. Courtesy of Jackie and Gene Autry. Roberto Valverde, painting on tooled leather of Gene Autry and Champion, date unknown. Loan courtesy of Autry Qualified Interest Trust.